Wedding in 1932 at Townsville of George Kyriakakis (Kirk) and Amigdalia (Magdalene) N. Barbouti. 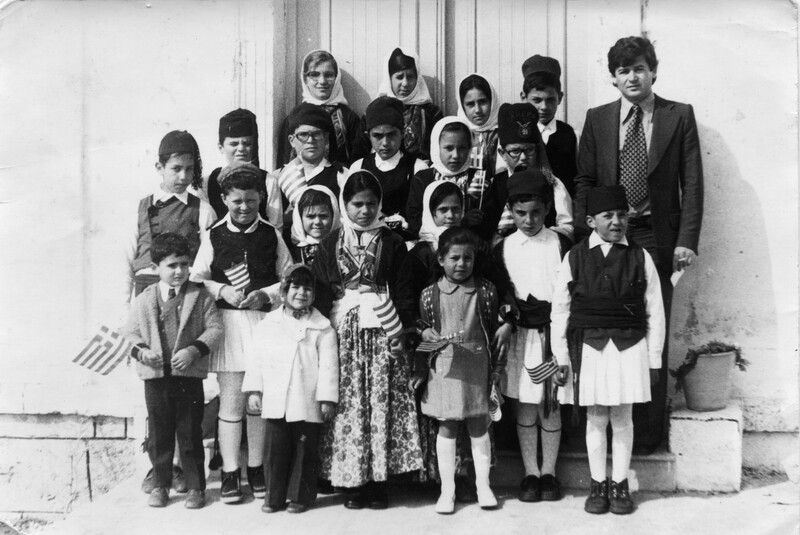 Standing l. to r.: Manuel N. Barboutis, Unknown, Jack N. Barboutis, George Kyriakakis, Maria N. Barbouti, Nicholas Barboutis, Amigdalia Kyriakaki, Unknown, Mrs Mihali Pavlo (Mick Paul), Emmanuel Atherinos, Mick Paul. Groom, Chris Arnas, Bride, Zaharoula Loula. The lady with the baby is Anna Comino, wife of Angelo Comino from Rockhampton. On her left is Stelio Cocaris and the second on his left is John Cocaris. Nicholas and Marianthi Syrmis at Townsville in about 1930. Dimitri (Jim) Theothosios Koroneos marriage to Pat(ricia) York. Theo Corones, eldest son of Triunduphilo and Georgia (nee, Mentis), Karavas. Triunduphilo is an older brother of the groom. Rene Zaunders (Zantiotis), later Sophiou. Eldest daughter of the Best Man. Matina Coroneos (later, Aroney). Second eldest daughter of Nick and Pat Coroneos (North Parramatta). Nick is another older brother of the groom. Panayota Yiokaris, (Pat York), bride. Angie Poulos (nee, Coroneos). Second eldest daughter of Triunduphilo and Georgia (nee, Mentis), Karavas. Betty Zaunders, daughter of George, the Best Man. 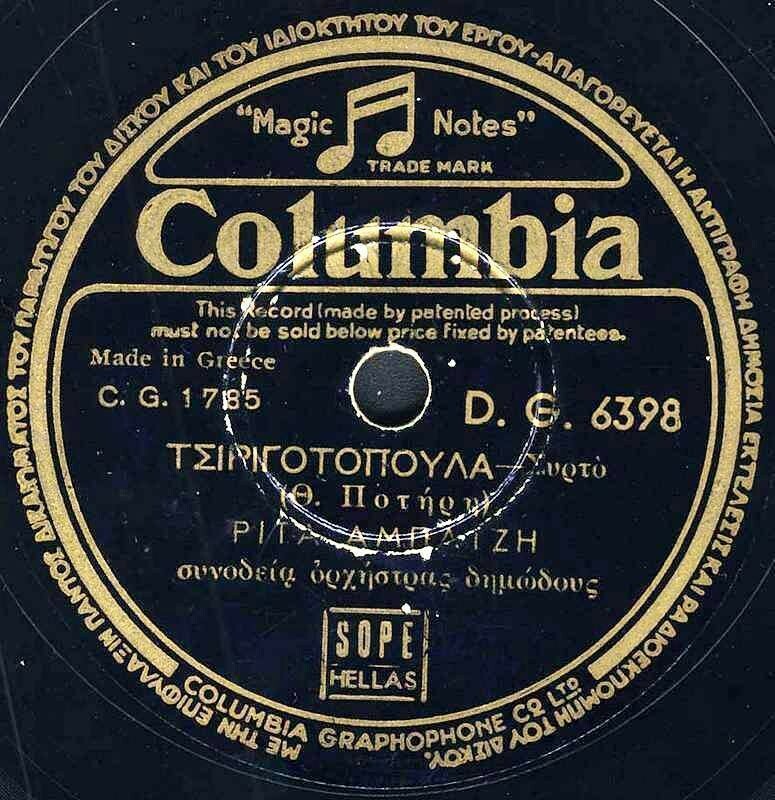 George Creatha (Kritharis) Katharos. Only son of Jim's sister, Maria Creatha (nee, Coroneos), Brisbane, Queensland. 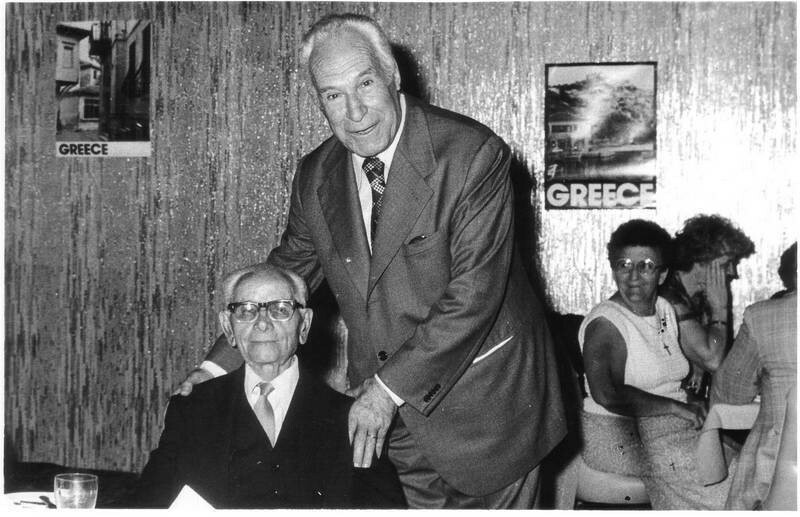 Peter George (Tzortzo)Poulos and Aryiro Aloizios. George Levantis (Second eldest son of Tasso and Katina Levantis). 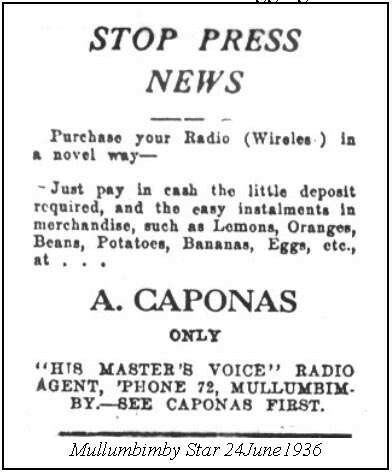 George Comino, (Goulburn), Uncle to Tzortzopoulos brothers, Con, Myna, and Peter, and Katina Levantis. Paul Levantis (Third eldest son of Tasso and Katina levantis). Katina Levantis. (Wife of Tasso). Frosso Poulos. (Wife of Myna). Mrs Crisannthe Saucis (nee, Vanges), wife of Jim from Dubbo. Dora Poulos (later Dermatis). Third eldest daughter of Myna. Helen Levantis, (nee, Zantes). (Eldest daughter of Tasso and Katina). "Metti" Poulos (later, Coroneos). Second eldest daughter of Myna and Frosso. Ollie Poulos, (later Faros). (Only daughter of Dimitri and Athena Poulos). Wedding of Panayoti Vaggis - Takis Vanges. Takis, was the name he was always affectionately called by his mother, Stamatoula Vaggis (nee, Coroneos), eldest daughter of Triunduphilos Koroneos, and Georgia Koroneos (nee, Mentis). 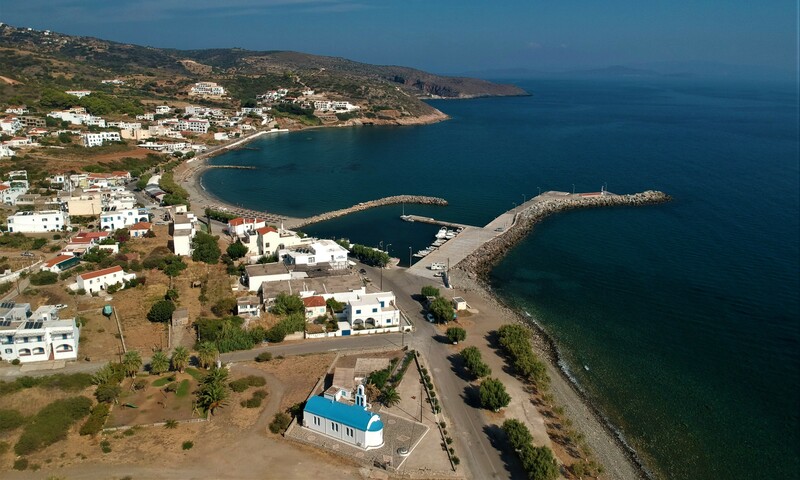 Takis was born in Kythera. Mother and father separated early in the marriage. 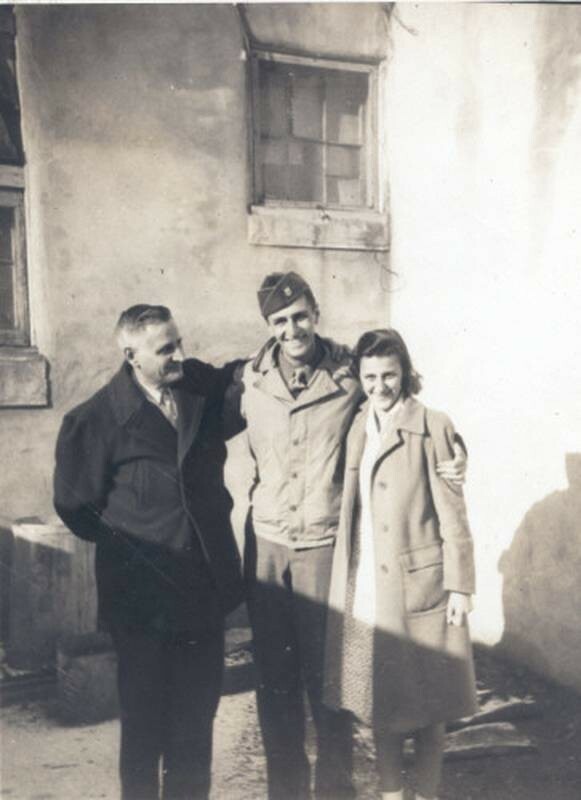 Toula took her three sons to Germany, where they lived and worked for many years. In her late 40's, Toula decided to migrate to Australia to be with her other 6 brothers and sisters. 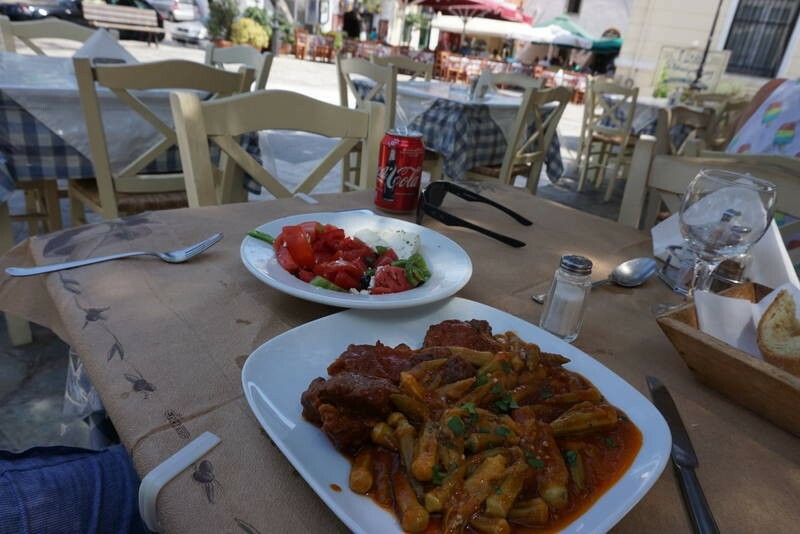 Takis decided not to emigrate to Australia, and returned to Athens where he has lived ever since. Con(standinos) George (Tzortzo)Poulos & Envangalia (Angie) Koroneos (Coroneos). The wedding was held in the Anglican Church, Goulburn, NSW. Envangelia Triunduphilou Koroneos, Angie Koroneos, was born in Karavas. She was sponsored to Australia by her aunty and uncle, Peter and Chrisannthe (nee, Koroneos) Katsoolis, then living in Wyong NSW. Later they would retire to Rainbow Street, Kingsford. Con George Poulos was born in Karavas in 1916. His parents were Yeoryi Dimitri Tzortzopoulos, and Olympia Tzortzopoulos. Con arrived in Australia, as a member of the Greek Merchant Navy. He had been employed as a merchant mariner, for many years. In Australia he went initially to visit sister Katina, and brother Myna in Goulburn, and Crookwell, before moving to work for, and for a short time, partner, brother Peter, in the Warren Fruit Shop. 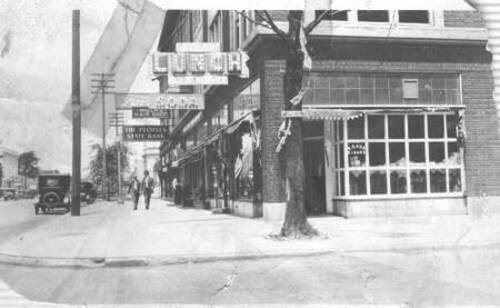 The Warren shop was not large enough to support two families. Con ventured all over NSW in serach for a business to buy. 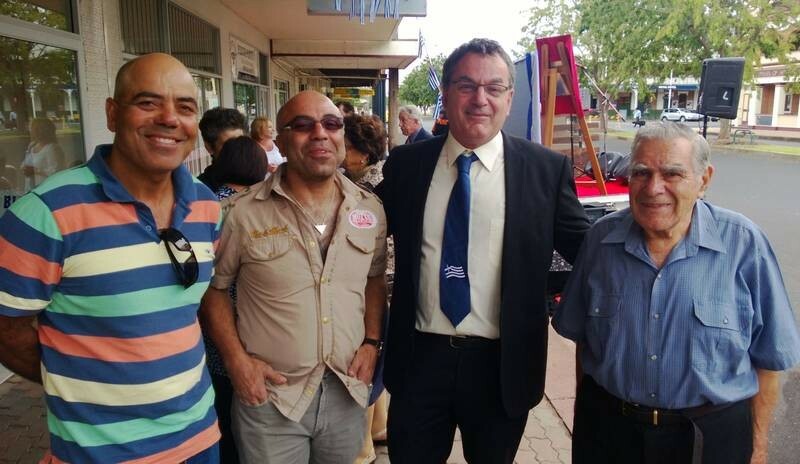 Con learned of a business opportunity in the neighbouring central western town of Gilgandra. 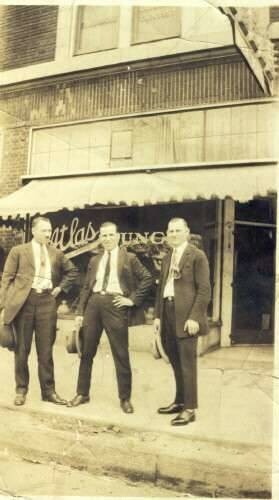 He purchased the Gilgandra Fruit Shop business at 41 Miller Street, Gilgandra, from fellow Kytherian, Jack Pentes in 1949. He paid £1,200 for the privelege. After marrying in 1951, Con and Angie lived in Gilgandra for the next 20 years. The history of the Kytherian presence in Gilgandra. 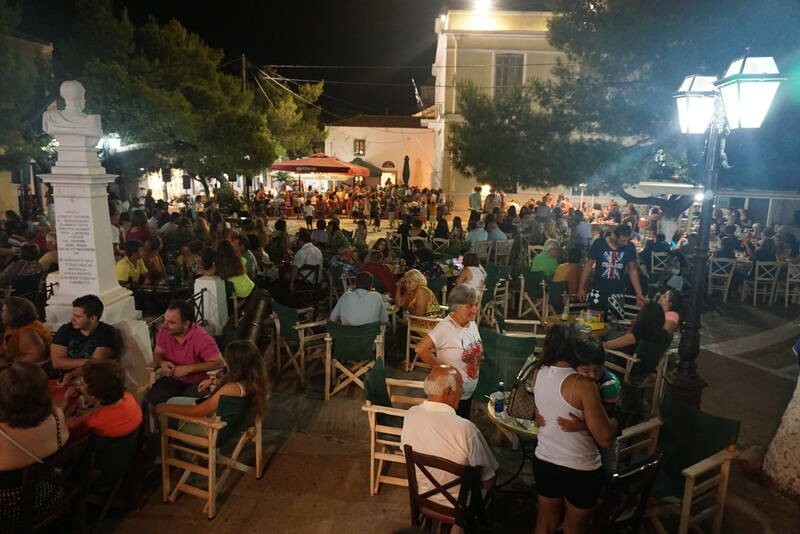 This was the social event of the year in Lismore, with many curious citizens gathering at St Andrews Church of England to watch the mysterious rituals of a Greek wedding, being orchestrated by Fr J. Evangelinides of Sydney. 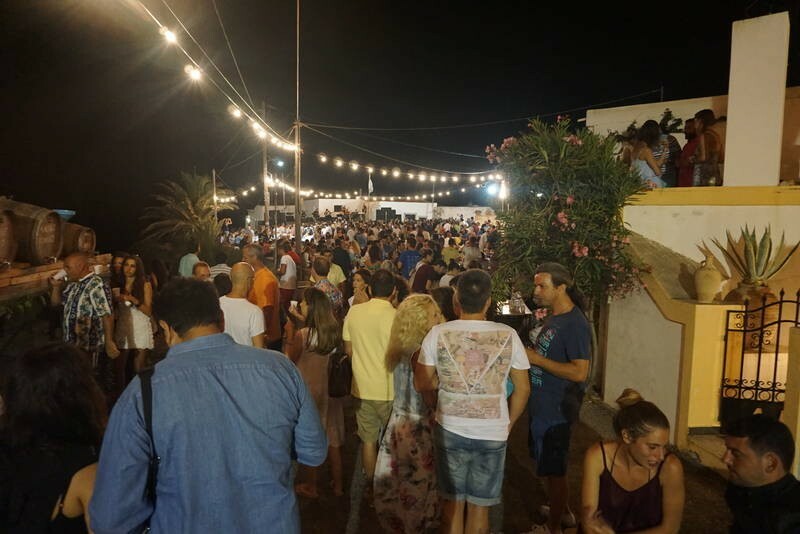 Over 300 guests gathered at the Apollo Hall afterwards, partying into the wee hours under the influence of cool jazz provided by the famous Kewpie Harris Band. And all reported with a half page spread in the Northern Star. Mrs Zafiro George Poulos (nee Crethar), John Peter Crethary, Mrs Anna Peter Crethary (nee Coroneo), Sylvia Stan Gleeson of Kyogle, Helen Nick Crethar of Casino, Effie Peter Cooley of Lismore, Peter Nick Crethary of Lismore, Mrs Fofo Peter Crithary (nee Crethary) of Woodenbong, Mattie Gleeson of Coffs Harbour. 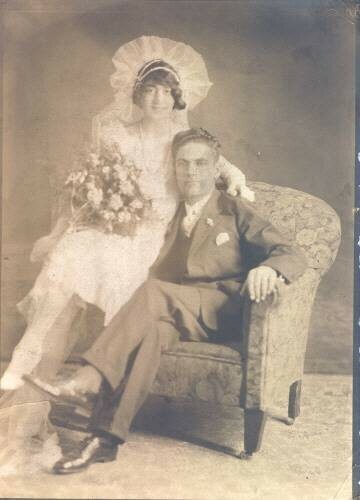 Anastasios (Ernest)and Spiridoula (Lily) Combes/Coombes married in Kythera on 31st December, 1923. 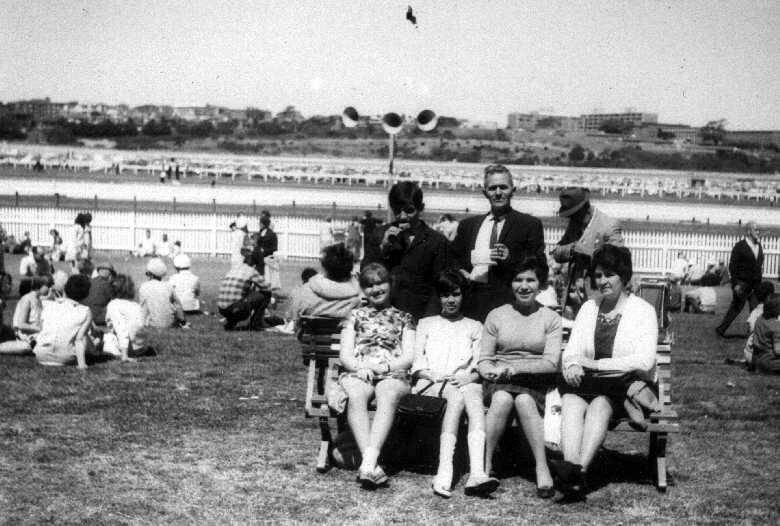 This photo has Spiridoula's mother standing next to her (we think) and her sister Stella (shorter lady with white scarf), who died at approximately 22 years of age. 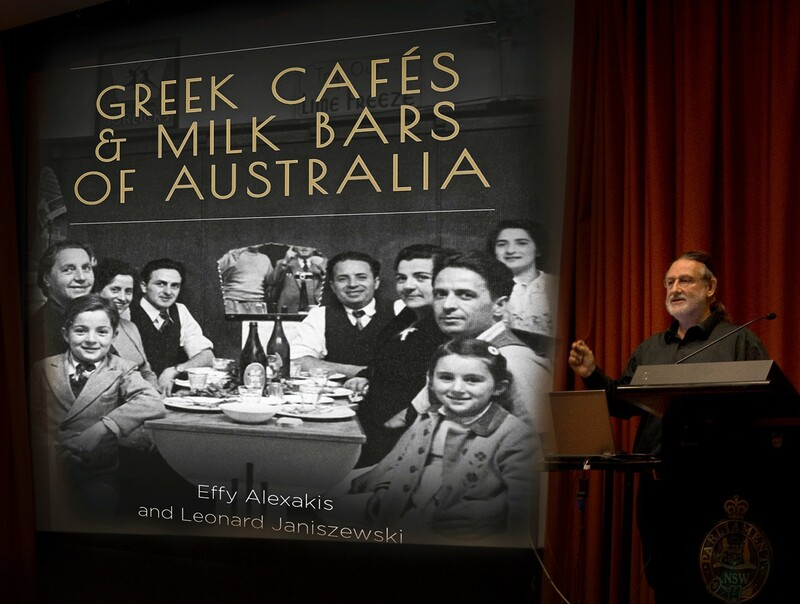 Anastasios (Ernest) and Spiridoula (Lily) came to Australia on the ship, the "Largs Bay", arriving in August 1924. They went straight to Tenterfield, NSW, where they worked for Anastasios' brother, George Combes for a few years, before moving to Sydney. Can anyone help with identifying any of the guests at this wedding? 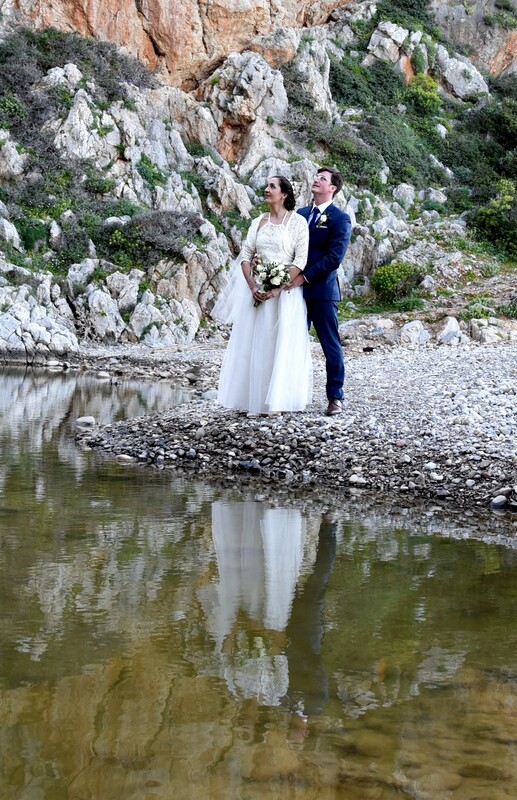 Wedding of Chris Coroneos (Christiforos Dimitriou Koroneos) and Melba Comino (Melpomeni Kosma Komino). 3rd July, 1924, Goulburn, NSW. Both Chris and Melba were born in Karavas. 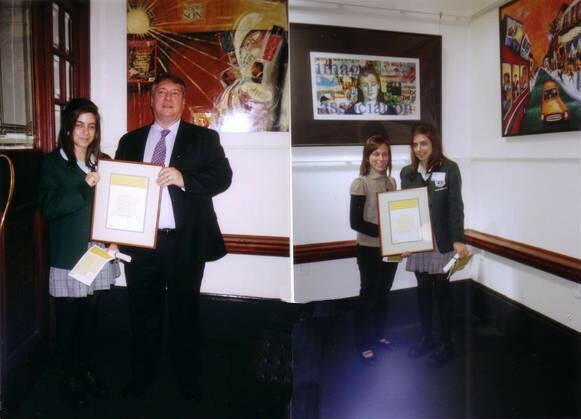 Chris's parents were Anna Kritharis, and Demetrios Melasofaos Koroneos. 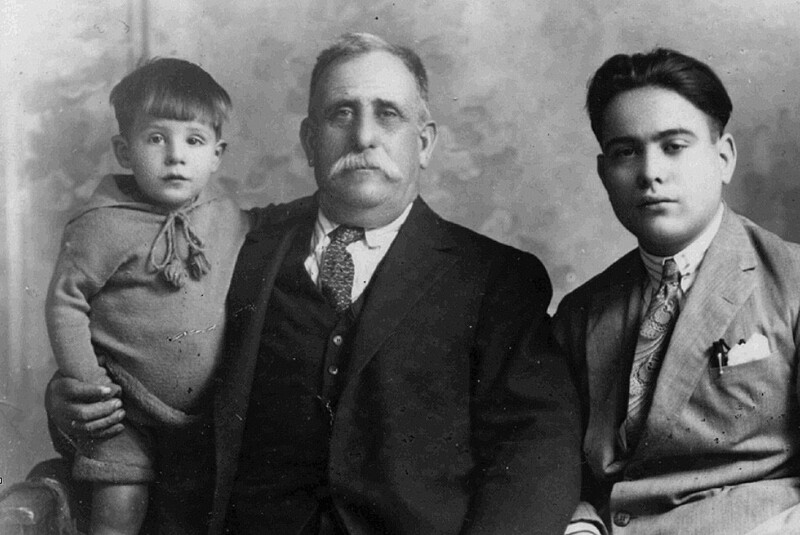 Melba's parents were Anna (Kirranni) Tzortzopoulos Douris from Douranika, and Charles Kosma Komino. 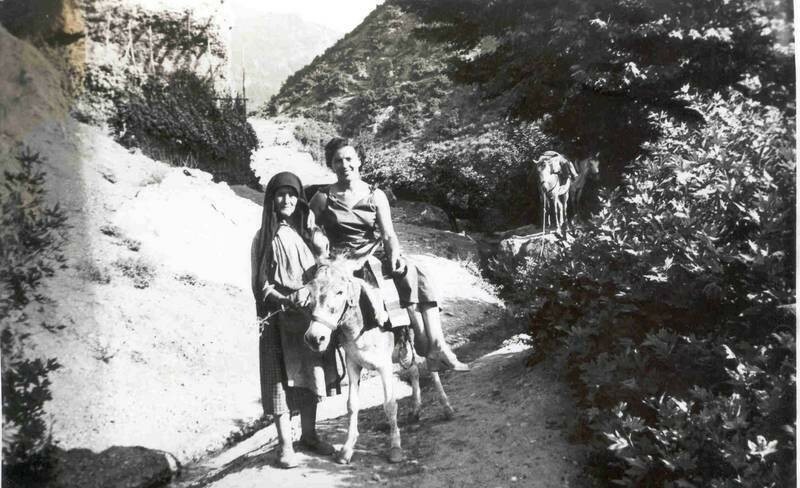 I found this photograph in the collection of my paternal grandmother Olympia Pappayogiggi Tzortzopoulos in the patriko spitti, Karavas. 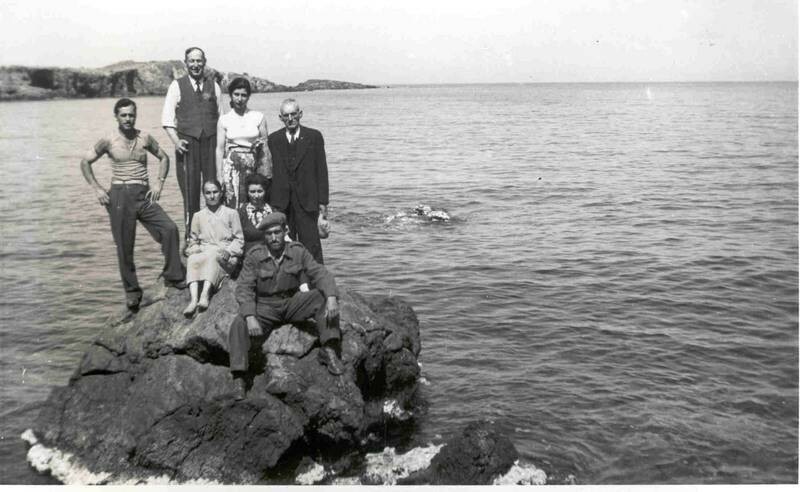 My grandmother had married another Tzortzopoulos - Yeoryi - Hlihlis - also from Karavas. 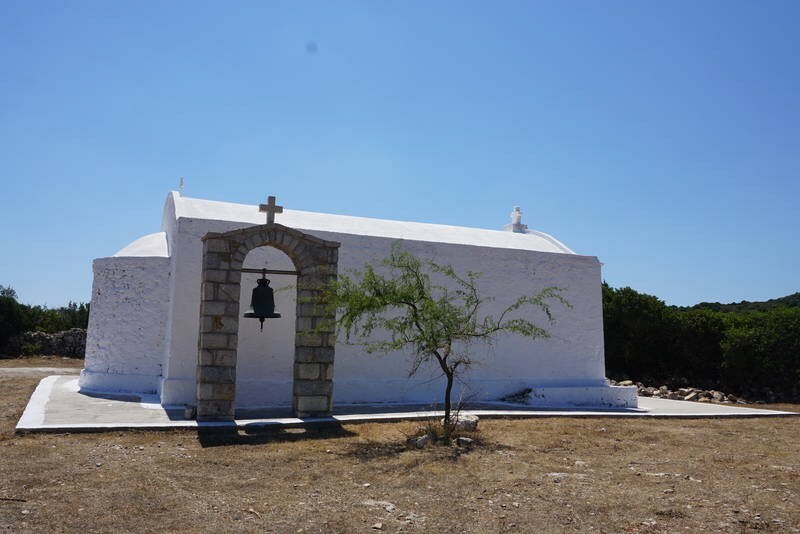 [Their life stories have been told in some detail on kythera-family, in various places, and can be accessed by utilising the internal search engine]. 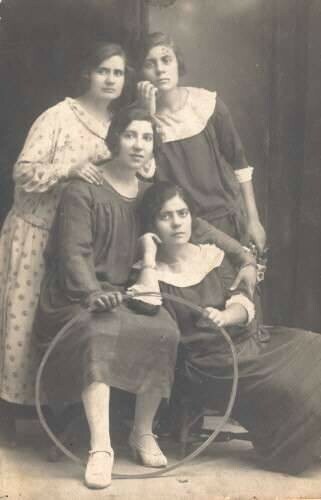 The fact this photograph occupied a significant pride of place in my grandmothers collection indicates to me that the Douris Tzortzopouli, and the Pappayogiggi Tzortzopouli were related in some way. 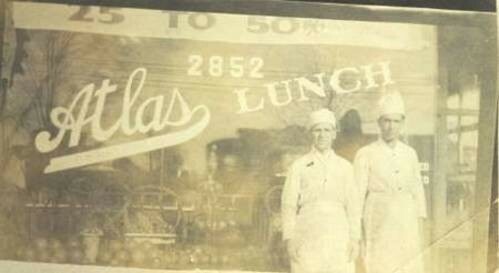 Were the Hlihlis also related to the Douris's? I am very interested to find out the basis of that connection. Wedding Certificate of Chris Coroneos (Christoforos Dimitriou Koroneos) and Melba Koroneos (Melpomeni Kosma Komino). See previous entry for a photograph of the Wedding party. Both were born in Karavas, Kythera. The best man Kapitan Mina (Tzortzo)Poulos is standing to the right of the couple. Front Row: Georgina Comino (nee, Krithari), married to George Comino. 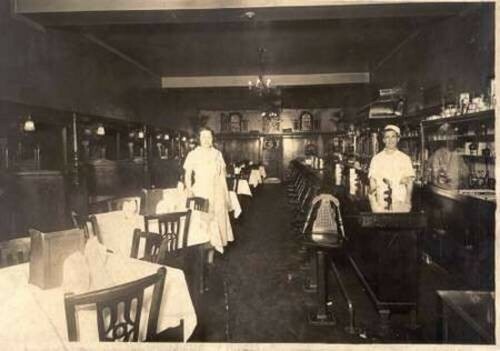 They owned the Bon Ton Cafe in Goulburn, NSW, for many years. The woman seated to the right of the bride is unknown to me. Does anyone recognise her? 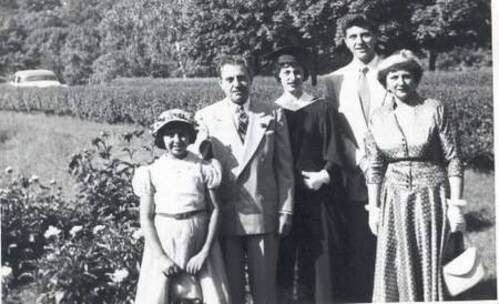 The wedding of Paul and Despina Galakatos.They lived in Detroit ,Michigan. No children. He and his brother Nick used the last name of Peterson here in the U.S. I don't know the maiden name of Despina. Maybe someone else who knew them might know? My Parents wedding Nicholas Gavriles and Helen Panaretos, in 1925, at Pawtauket, Rhode Island. Dimitri George (Tzortzo)Poulos and Athena Connell, marriage. 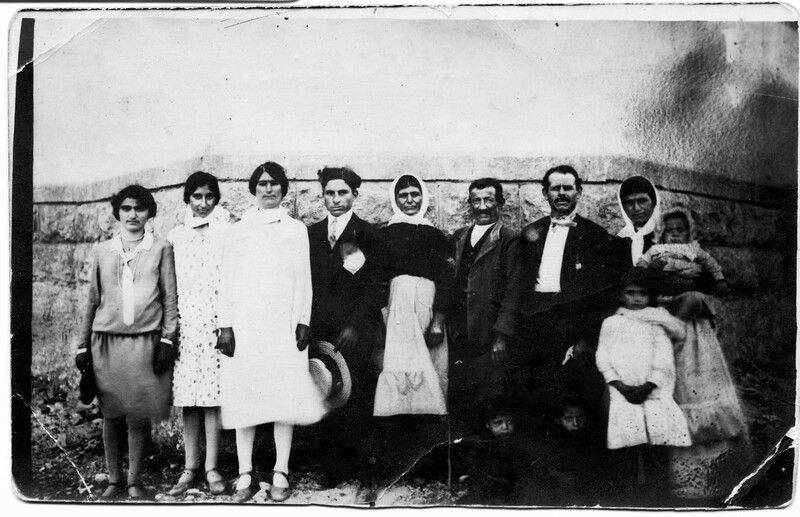 Marriage, of Dimitri George Poulos, (Tzortzopoulos), Hlihlis, Karavas, Greece, and Goulburn, New South Wales, and Athena Connell, Attika, Greece, and Goulburn NSW, on the 16th June 1926. The wedding took place in Sydney. 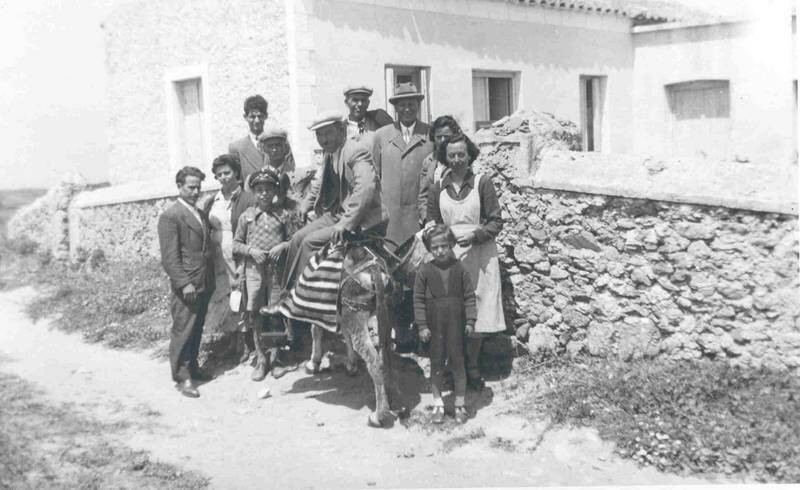 Dimitri left Karavas, Kythera in 1922(?). The circumstances of his life were tragic. He established himself in Goulburn, where he owned a Refreshment Room in the main street. Dimitri died as the result of injuries sustained in a car accident in 1936. He was travelling by car to go and see business he was wanting to purchase, in a neighbouring town, (West Wylong?). My father recalls that a fellow Greek in the car with him was severely injured - but recovered. This person later established a shop in Dubbo, NSW. 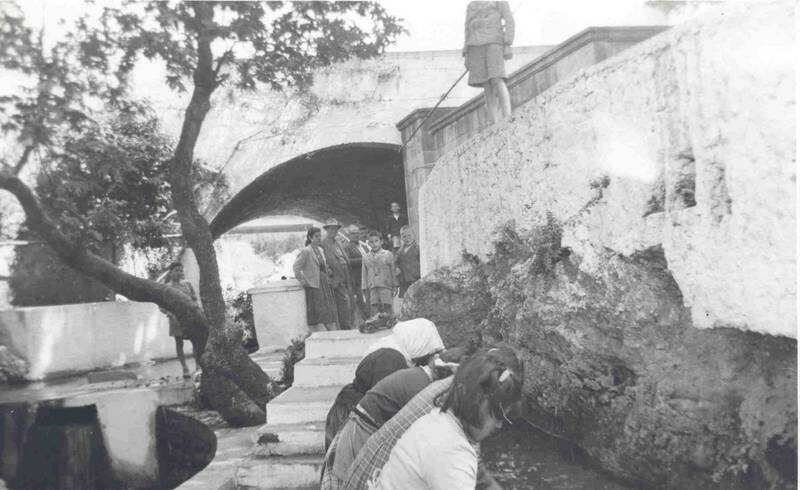 Mrs Anastasia (Tassia) Varvaressos (nee, Zervis), later to "adopt" second eldest son Haralambos (Harry)- recalls that 2-3 persons were killed in this accident. Goulburn newspaper reports would establish the exact toll of the car accident. James is buried in Goulburn Cemetery. 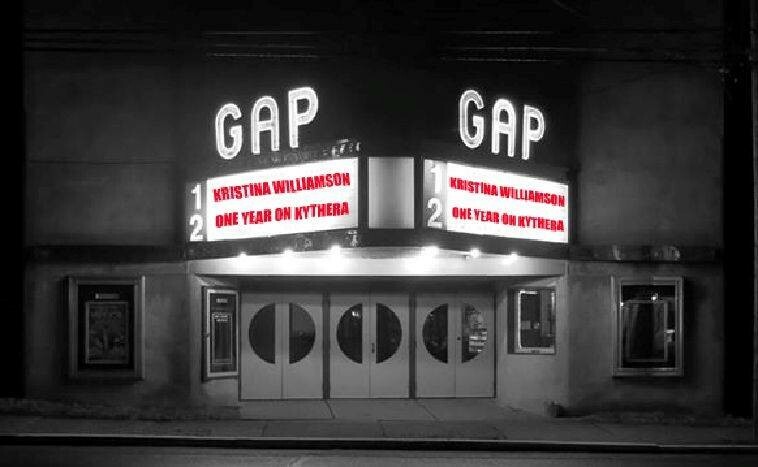 A year later, wife Athena - died from cancer. Leaving 4 young children under 6 years of age - George, Harry, Con and Olympia (Ollie) - without a parent. No immediate Tzortzopoulos family support was available. Panayoti was recently arrived and only 22 years of age. And James's other 6 brothers and sisters were in Karavas, Kythera, or Pireaus. Con and Maria were married at the Holy Trinity (Agia Triada) Greek Orthodox Church, in Bourke Street, Sydney. 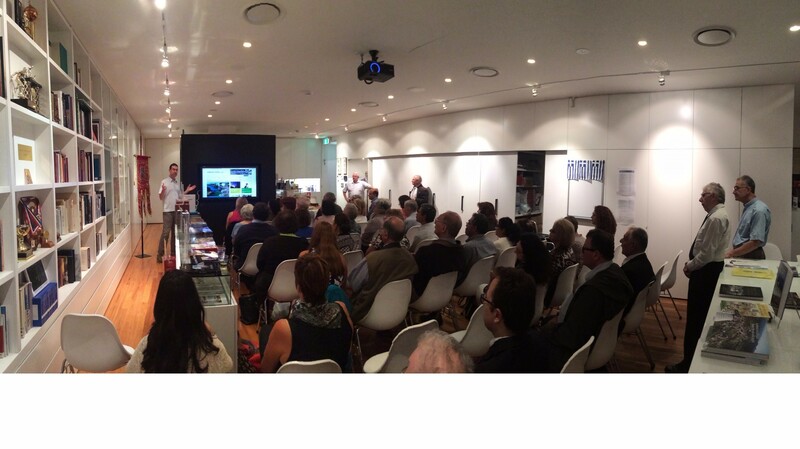 The reception was held at the Hotel Australia, and they had 250 guests. The bridesmaids were Marika Marsellos, Maxine Mitchell and Martha Christianou. 7. Little Nick Samios' mother Agapy (nee Lazana). 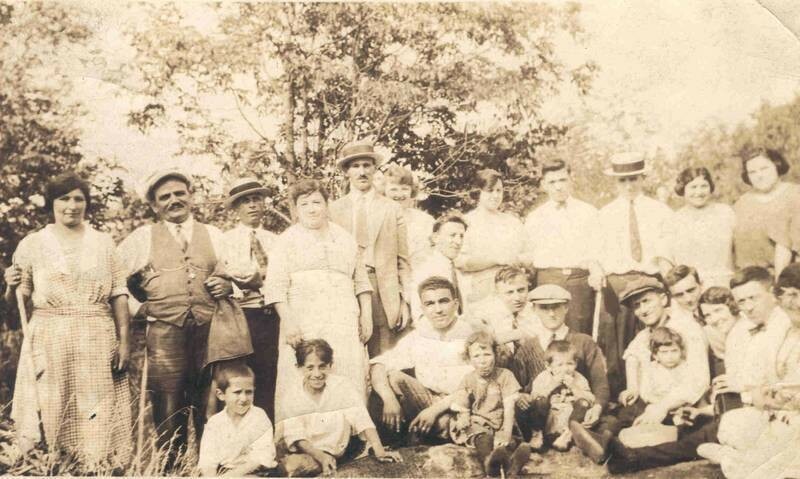 2nd from left top row is Harry Nicholas Samios & next to him on the right is his brother John Nicholas Samios. Harry's son Nicholas is the boy sitting in the front row on a chair and his mother Agapy (nee Lazana) is last right on the 2nd row. Poppy may be the child in front of Agapy. This photo was a pleasant surprise. 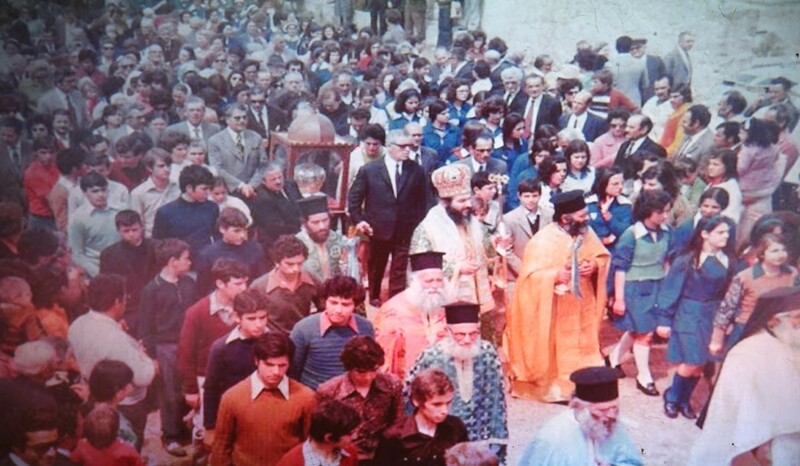 This is one of the photos found by Panagiotis Notaras in the Notaras house in Friligianika. [See entry under Photography Diaspora, subsection, Vintage Portraits/People]. 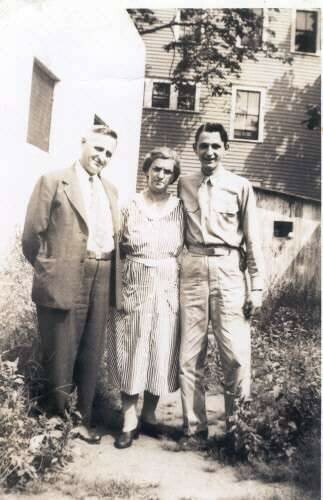 Angelo Notaras, Sydney, and his wife Mary Notaras (nee, Summers) confirm that this is in fact a wedding photo of Mary's parents. The wedding occurred c. 1937. Mina Kalokerinis (Cousin of groom). Spyro Calocerinos confirms the identities of some of the people in the above photo. Some are relatives of his. He also passes on some additional information about them. What information can you add? 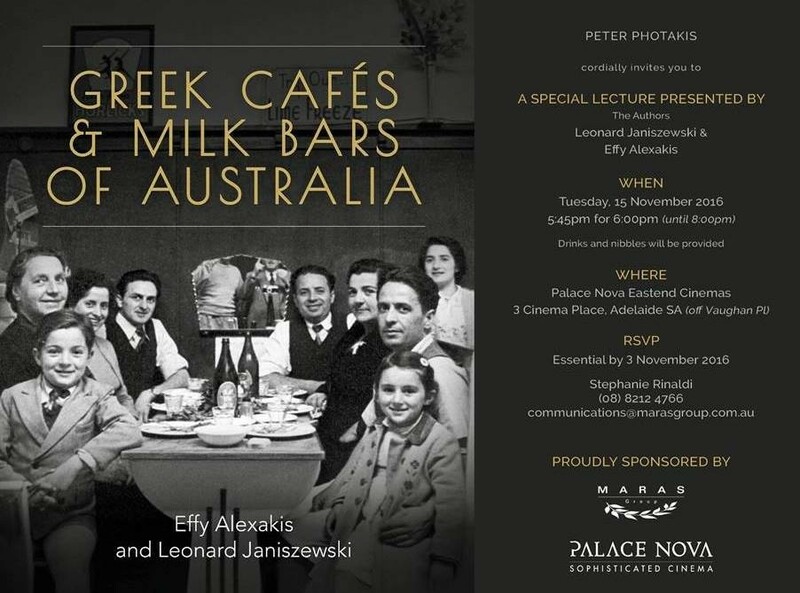 "Fourth from left is Bill Kalokairinos (Summers) well known in Tamworth NSW, and Angelo Notaras' father in law. It is obviously his wedding photo. 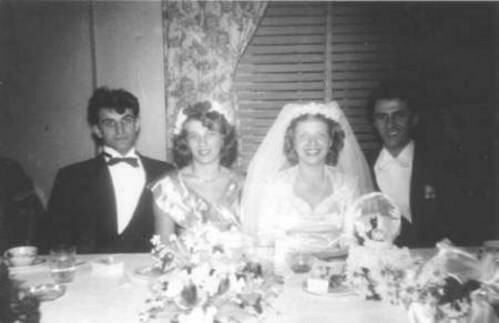 The man next to the bride in front is Bill Glytsos, also well known hotel proprietor in the New England area NSW and the bride's brother. He passed away in Kythera gyrokomeio earlier this year. 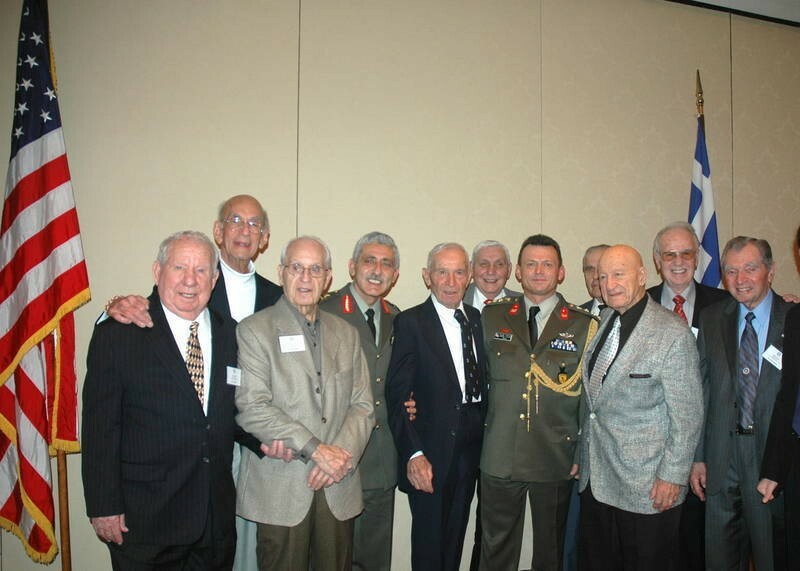 (This information was provided by John Kalokairinos also a nephew of Bill Summers). 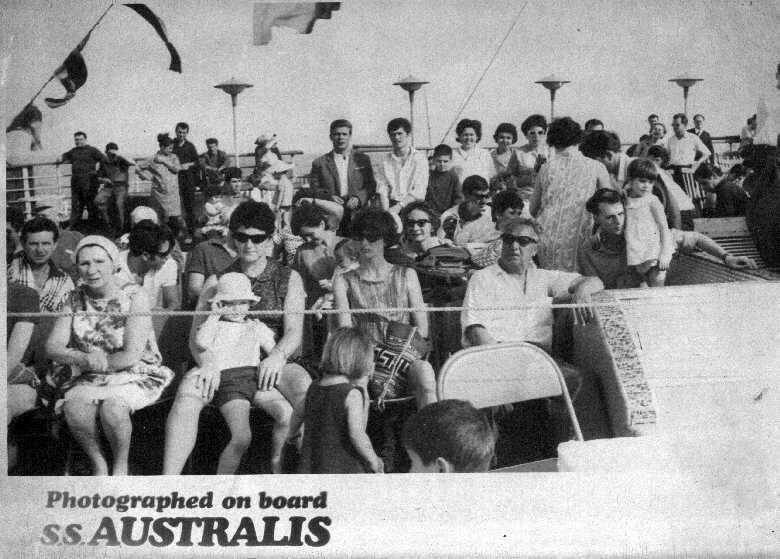 Third from right is Peter Tambakis, from West Wyalong NSW who passed away in Kythera after an accident".